Ottawa First Aid has been providing St Mark James first aid and cardiopulmonary resuscitation (CPR) training in Ottawa since 2009. It’s the premier and biggest St Mark James provider within the city. Classes and training are available at various dates, locations, and schedules throughout the week. Course prices are the most affordable in the region, beating out other training providers. To register for a CPR certification course in Ottawa with this St Mark James training provider complete the on-line registration form or use the contact information available below. Ottawa First Aid offers trainees a variety of classes available throughout the week, with certain courses also available on the weekends. Classes on basic first aid, child care first aid, CPR, and automated external defibrillation (AED) training are offered by Ottawa First Aid. Ottawa First Aid offers the most affordable rates for all of St Mark James first aid, CPR, and AED lessons. No other service provider from the Ottawa area gives lower rates for offered classes. Initial enrolment fees are inclusive of taxes, certificates, St Mark James registration fees, training manuals and equipment. Full refunds are also given to trainees who choose to drop out, provided a 72-hour notice beforehand. CPR and AED classes introduce trainees to the latest Basic Life Support (BLS) guidelines by the American Heart Association. The BLS guidelines are used by rescuers of victims of cardiac arrest – following the updated C-A-B pathway (circulation, airway, breathing). 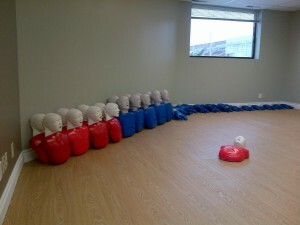 AED trainers and adult and pediatric training mannequins are used in all training classes to prepare trainees for all kinds of emergency situations. All CPR levels can be inclusive of basic first aid and AED training. AEDs are machines that are able to detect heart rhythms and give needed shock to the heart.Stand-alone CPR classes are also available to trainees who want to undergo CPR and AED training only. Renewing expiring certificates is generally one of one of the most aggravating tasks for trainees. 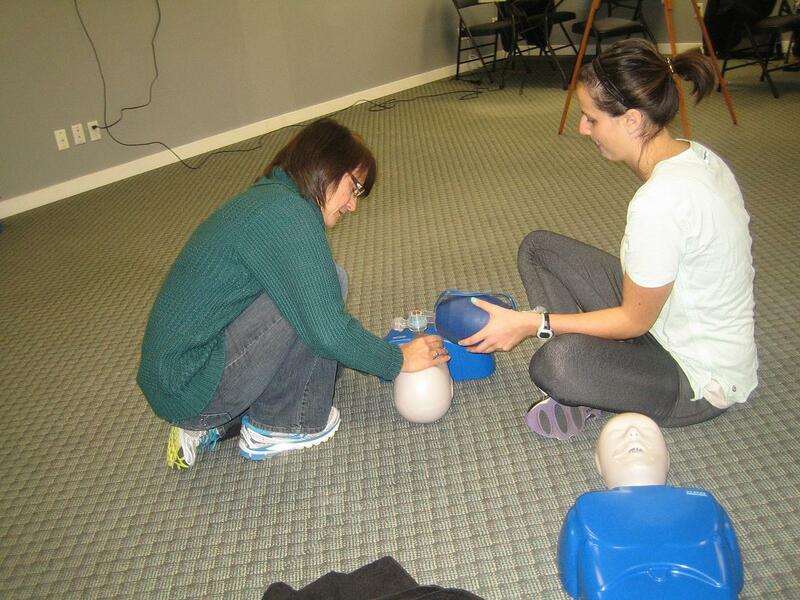 Ottawa First Aid offers refresher courses at least twice each week in various training centers throughout Ottawa. Private classes are available for trainees who are unable to enrol in any of the regular class schedules. Companies and big groups usually opt to enrol in separate classes. Prospective trainees may enrol using the on-line application form above. Telephone calls, e-mails, and walk-ins at the training centres are also highly encouraged. All trained first aid rescuers are taught how to measure blood pressure, especially during emergencies that can lead to hypertension or hypotension. According to the latest update from the Joint National Council (JNC 7), normal blood pressure is below a systolic BP of 120 AND a diastolic BP of 80. Pre-hypertension is a systolic BP of 120-139 AND/OR a diastolic BP of 80-89. Stage 1 hypertension is a systolic BP of 140-159 AND/OR a diastolic BP of 90-99. Stage 2 hypertension is a systolic BP of 160 and higher AND/OR a diastolic BP of 100 and higher. Browse the Ottawa First Aid website for additional information regarding offered classes and schedules. All training courses are inclusive of certification and St Mark James registration. Choose Ottawa First Aid today!